Houses in the small village of Qunu in South Africa's Eastern Cape province spread out across gentle rolling hills in a landscape reminiscent of Tuscany. At first their placement seems haphazard until you realise that each of them is keeping watch over carefully carved out farms handed down through generations of families. History would have found it easy to pass this sleepy and unassuming village by were it not the place where Nelson Mandela spent his youth. A youth that he counted as the happiest period of his life. "Nature was our playground," he wrote in his memoir Long Walk to Freedom. "The hills above Qunu were dotted with large smooth rocks which we transformed into our own roller coaster. We sat on flat stones and slid down the face of the rocks. We did this until our backsides were so sore we could hardly sit down." Qunu was Mandela's rock. It was the place he always came back to, the place he dreamed of during 27 years of incarceration, the place where he spent his twilight years and ultimately, the place where he rests. Though his heart and spirit belonged to that special place, Rolihlahla Mandela was born 100 years ago on the 18th of this month in the smaller village of Mvezo. Both villages are situated in a region known then as the Transkei, a former British protectorate, which during apartheid was designated an "independent homeland" and therefore a source of political unrest. Mandela's father, Gadla Henry Mphakanyiswa Mandela, was a local chief and as such was a powerful and influential figure. He had four wives with whom he had four sons and nine daughters. Mandela's mother was Gadla's third wife, Nosekeni Fanny. When Mandela was eight, his father was stripped of his office. Some believe it was due to corruption. The romantic story claims it was for standing up to a British magistrate. A year earlier, Mandela had started his education in the local Methodist school. Here he was given the name that would, years later, ring out across the world and become synonymous with the fight for freedom. "On the first day of school my teacher, Miss Mdingane, gave each of us an English name. This was the custom among Africans in those days and was undoubtedly due to the British bias of our education. That day, Miss Mdingane told me that my new name was Nelson. Why this particular name I have no idea." At school Nelson learnt to read and write but it was when his father died in 1928 that his real education began. At the request of his mother, Nelson was taken into the home of the paramount chief of his father's Thembu tribe, Jongintaba Dalindyebo. He was exposed to western cultures and ideas. He learnt to speak English, studied history and became influenced by discussions at court. He learnt to be assertive and confident and later wrote about witnessing the use of soft power. He noticed how the chief worked "like a shepherd". "He stays behind the flock," he wrote, "letting the most nimble go out ahead, whereupon the others follow, not realising that all along they are being directed from behind." By the time he reached manhood, celebrated in a ritual circumcision at the age of 16, Mandela had already seen much of how politics works. He believed, however, that the European invaders had brought education and organisation to Africa and saw little malice in them. Throughout the course of his life, his views would change, at times quite radically. Mandela studied Law at University College of Fort Hare, the only university that accepted black people. He met and befriended Oliver Tambo, later head of the African National Congress. At university he met black South Africans from less privileged backgrounds and began asking questions of his own assumptions. He became more interested in African history and culture but it was a simple twist of fate that eventually drew him to its very heart. 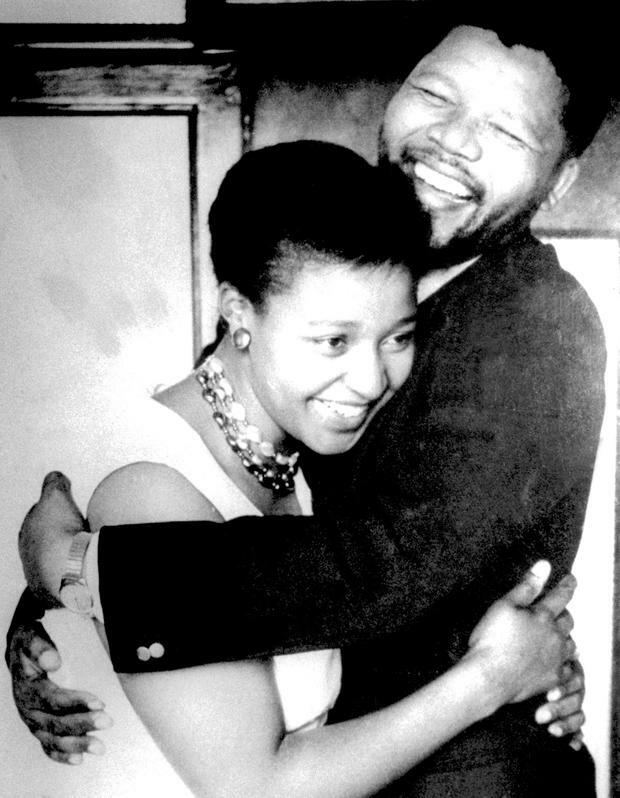 On returning home, Mandela discovered that his cousins and uncles had chosen a bride for him. Unhappy at their apparent deceit, he ran away to Soweto and into the teeming realities of life for poor black South Africans. Here he came to the attention of Walter Sisulu, a property agent and a major figure in the African National Congress who was impressed by the tall and outgoing Mandela. Mandela was quick to get involved and impressed activists with his ability to charm people and bring them around to his point of view. Mandela opened the first black law partnership in South Africa with his old university classmate Oliver Tambo. He took up boxing and rose early in the morning to run. Through Walter Sisulu, he met and married Evelyn Ntoko Mase. Together the couple had four children - one of them dying aged nine months. In the early years of their relationship, Evelyn was as devoted as he was to the ANC but she later became a Jehovah's Witness, which banned its followers from political affiliation. Under the multiple strains of his constant absences, his devotion to activism and his alleged betrayals, the marriage ended in 1958 in a very public and messy divorce that was heavy with acrimony. Despite his personal difficulties, Mandela's determination remained steadfast. Along with Tambo, Sisulu and others, Mandela started the ANC Youth League. Pan-African nationalism ran through its core. "I was angry at the white man, not at racism," he wrote in his autobiography. "While I was not prepared to hurl the white man into the sea, I would have been perfectly happy if he climbed aboard his steamships and left the continent of his own volition." And it wasn't just the white man he was angry with. For a time, he insisted that the ANC keep a distance from Indian and mixed-race political movements. Communism, as an alien conceit, was also to be treated with suspicion though later Mandela himself would pander to and indeed join the Communist Party. His politics took an unsavoury, if unavoidable, turn shortly after 69 peaceful protesters were shot dead by police in Sharpeville in 1961. Mandela became the first commander of a motley liberation army, named Spear of the Nation. The state, who years earlier had tried to have him and his associates convicted of treason, were now adamant he be put away. Mandela and eight other ANC leaders were charged with sabotage and conspiracy to overthrow the state. The evidence against them, which included documents in Mandela's hand, was discovered on a farm in a suburb of Johannesburg called Rivonia. In October 1963, the Rivonia trial began. Mandela and his associates knew there was little chance of acquittal and expected to be executed. Early on, they decided they would use the trial as a platform to promote their cause. Mandela outlined the reasons for the ANC's move away from constitutional opposition towards militarism and laid the blame squarely at the apartheid regime. "I have cherished the ideal of a democratic and free society in which all persons will live together in harmony and with equal opportunities," he said from the dock. "It is an ideal for which I hope to live for and to see realised. But, my Lord, if it needs be, it is an ideal for which I am prepared to die." In the end, Mandela and eight of his associates were sentenced to life in prison. Mandela was just 44 years old when he was sent to Robben Island. By now he and his second wife Winnie, whom he had married in 1958, had two children. On the outside, she became Mandela's mouthpiece. Winnie was treated with contempt by the authorities and surrounded herself with bodyguards who later become known as the Mandela United Football Club - a group of thugs who meted out justice against informers real or perceived with alarming cruelty. Though the pair stayed together throughout his incarceration, this was something that would play out badly in the years following his release and would ultimately lead to their divorce. Mandela's early years on Robben Island were unpleasant to say the least. Prisoners were made to work quarries and were regularly the victims of petty humiliations. Some prison guards would send in newspaper clippings around stories of Winnie's affairs and when his son, Thembe, was killed in a car crash in 1969, a request to attend his funeral was denied. But all the while, Mandela maintained his dignity. In prison, he learned Afrikaans, and soon came to the belief that the only way to resolve the war was through dialogue. In time, some prison guards became sympathetic towards his plight and smuggled in newspapers and extra rations. Contact was made with moderates within the governing National Party who approached him in the hope of opening a dialogue. By the 1980s, trade sanctions coupled with daily clips of increasing violence were crippling and isolating Africa's most powerful nation. While the work of leaders such as Bishop Desmond Tutu can never be forgotten, Mandela was the rallying cry which the international community, hungry for a cause after the likes of Live Aid, could rally around. In mid-June 1988, a concert was held at Wembley Stadium to mark Mandela's 70th birthday. It was broadcast around the globe and watched by 600m people. 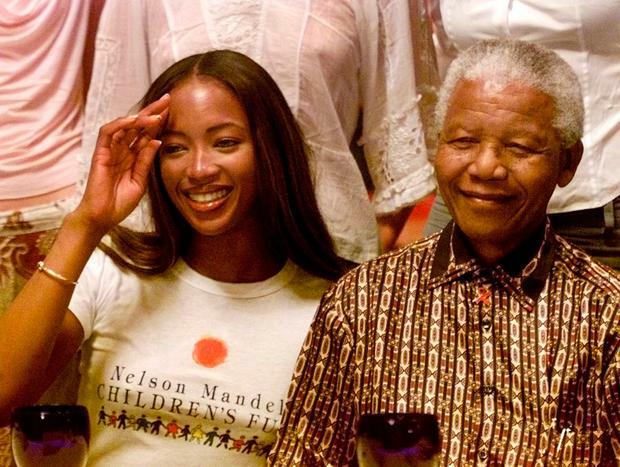 Mandela quickly became a household name. International exposure gave momentum to negotiations which had, in fact, begun with President PW Botha two years earlier. Meetings were slow but respectful and progress was made. Mandela was moved from Robben Island to a more comfortable compound outside Cape Town. This was partly due to his ill-health and the fear the government had around what might happen were he to die in captivity. Mandela grew stronger, both physically and politically, though some in the ANC were suspicious of his new found cosy relationship with the former enemy. However, Mandela convinced the doubters that the white man's day of minority rule was done. He was merely offering them the chance of a peaceful resolution and called on his party to be patient. Sense, in the end, prevailed but it would take four years of negotiations before a resolution was reached and even then not everyone was happy. Mandela was released in February 1990, an event that was broadcast around the world. Global leaders lined up to welcome him, including our own. Mandela had been offered the freedom of Dublin in 1988 and just a few months after his release from prison, he decided to collect it. In his opening comments to a special gathering of the Dail, he apologised for having "a heavy cold" but noted the reception he had received "from... the people of Ireland... warmed my heart and every vessel in my body". In his speech, he drew parallels between Ireland's struggle for independence and his hopes for what South Africa would soon become. He would return in 2000 to open the Special Olympics in Croke Park and again in 2003 where he was given an honorary degree at NUIG. Back in South Africa, negotiations got under way to a background of suspicion, violence and assassinations. Eventually a deal was struck that saw free but frenzied elections take place. The turnout, a whopping 87pc, was a boon to Mandela whose ANC swept to power. A year later, South Africa hosted, and won, the Rugby World Cup. Mandela was at the heart of its success and it did much to portray an image of a country reconciling itself with its past. That image belied the truth, however. In 1995, the Truth and Reconciliation Commission was created with a view to seeking closure around some of the country's darkest moments. Its success is somewhat overblown by those who were not victims of the years of violence but arguably it would not have happened at all were it not for the man who was overseeing it all. While the country he ruled raked through the coals of its past and tried to forgive, Mandela and Winnie were unable to do the same. 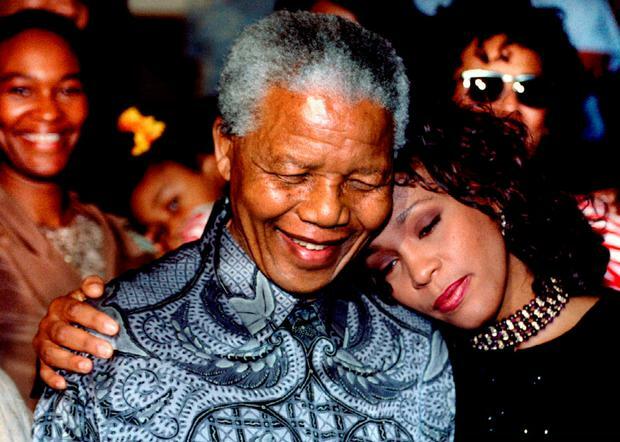 Though he never openly criticised her, Mandela could not reconcile himself or indeed his image with a woman who had been so violent and murderous. In 1996 they divorced. Mandela was not without his critics. At times, he showed a vanity that was matched only by the rock musicians and movie stars who came to share their moment basking alongside him in the limelight of their self-proclaimed enlightenment. Everyone from the tantrum-throwing Naomi Campbell to the plucky Spice Girls grabbed their moment of validation beside the man who had spent a lifetime honing his particular X factor. Though on the surface he led an austere life, he was not shy about asking for money from industrial donors and suggested that poor black workers would have to accept low wages if investment was going to come. To this day, the gap between rich and poor in South Africa runs very much along similar lines as it did before the end of apartheid, except now much of the corruption that is rife in South Africa is facilitated by Mandela's former party. In 1999, Mandela stood down as president. It was something of an open secret that Thabo Mbeki was not Mandela's favourite choice as president but for the most part, he kept his concerns out of public, if not private, discourse. For his part, Mbeki felt that Mandela had built a cult around himself which did little to deal with the realities of running a country. The white minority had been accommodated to the detriment of the black majority and little had been done to relieve their day-to-day suffering. "Madiba [Mandela's clan name] didn't pay any attention to what the government was doing," Mr. Mbeki said in his biography. "We had to, because somebody had to." Mandela, then 81, had one year earlier married for a third time. 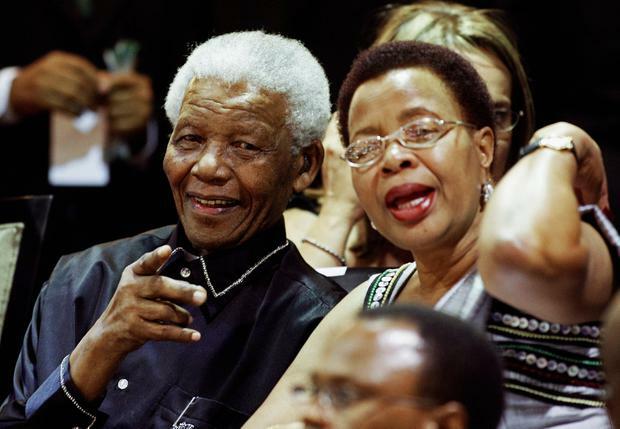 His bride, Graca Machel, a politician and activist from Mozambique, would accompany him on the occasional trips they would make promoting various causes. But for the most part, Mandela took the opportunity to spend time in his beloved Qunu. Here he sought peace in a compound he had built for himself as a refuge shortly after his release from prison. He joked that he had it laid out in with the exact same floor plans as his compound in Cape Town, so he could get up in the middle of the night and find the bathroom without any problems. Peace was hard to come by, however. He had brought it to his country but witnessed his family repeatedly fall out over his legacy. It was something he insisted his widow would take care of, but even after his death in 2013, disputes continued. When it came, Mandela's death was treated with an outpouring of grief that was felt the world over but most keenly in his homeland. No doubt he would have been touched by the millions who marked his passing but one feels he might have been less impressed by the spectacle of back-slapping and selfies that accompanied what turned out to be a somewhat punch-drunk celebration of his life more fit for the cover of a glossy magazine. In the end, he returned to where he came from and he lies among the rolling hills of his homeland in the humble setting of his beloved Qunu.